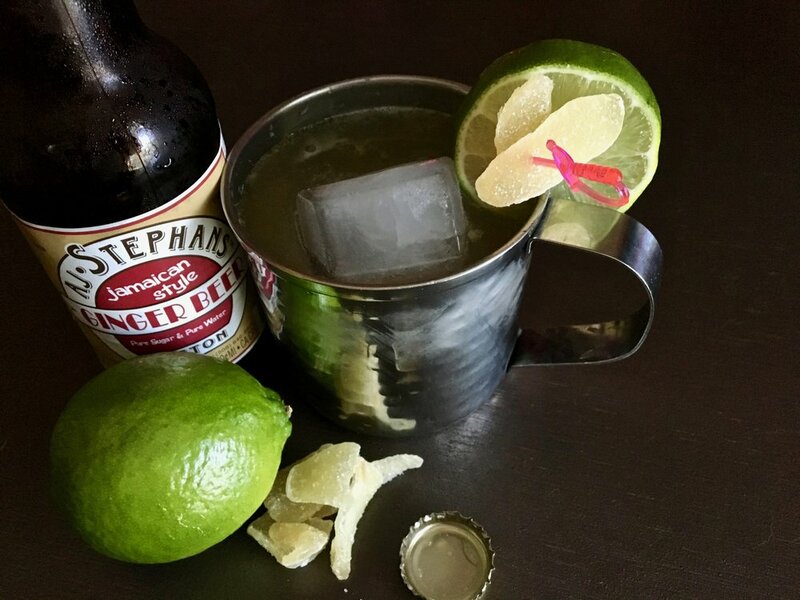 A better mule, the Russian Troll amps up the ginger and uses good ol' rum instead of flavorless vodka. In a tall cup, blend rum, lime juice and candied ginger together with a stick blender. Pour mixture into your mule mug, top with ginger beer and add a few large ice cubes. Garnish with lime and more candied ginger. Pictured above are the essentials besides the rum. On left, is an example of a very potent Jamaican style ginger beer, fresh lime and ample candied ginger. 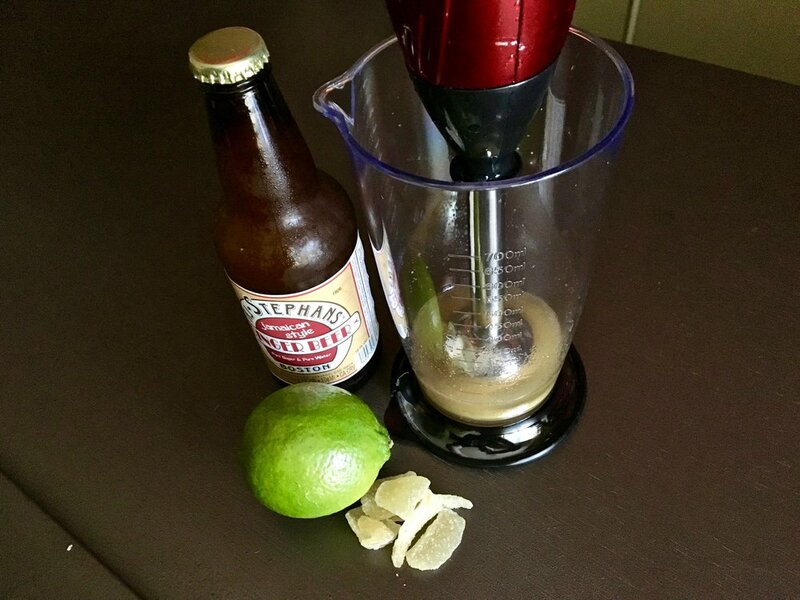 Right is the rum, candied ginger and lime combined with a stick blender which really makes this recipe work. Use the tall cup from the blender to prevent liquid sloshing up over your mule mug. Then, pour blended mixture into your mug.